Ever been in a situation where you realize halfway through just how epic and life changing it really is, and you start to see yourself almost from a third party perspective? Or start saying something, just to test it out, but realizing it become infinitely more real each time you say it? Kinda like Beetlejuice! You know – you say his name three times to get him to appear? I always imagined that with each “Beetlejuice”, Michael Keaton came more and more into being until he was a fully formed and solid being. I find the same holds true for desires or thoughts. Before you realize it, an “I’m thinking of doing” or “Maybe I’ll” has turned into “I’m doing ___ and actively pursuing this!”. Then, for the first time, you really hear what you just said and go, “Huh??? I am? ?” Welcome to my last three weeks. 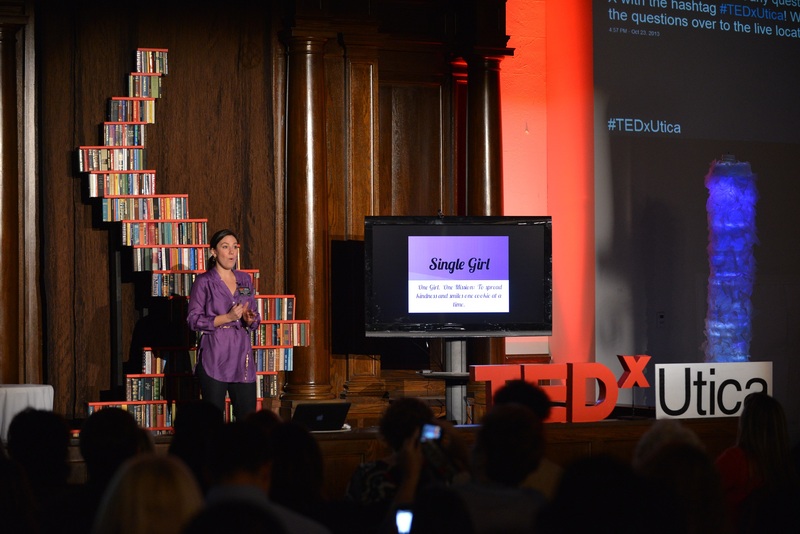 When I last left you, the countdown to TEDx Utica was on. I was at Utica Coffee Roasters for a bit of downtime before the big show and needed to catch you guys up on what had happened the weeks before. I couldn’t let the last thing y’all read before I embarked on this crazy journey to be my letter to my grandmother. And later that night at 5pm, the starting gun went off, I took the stage, and I haven’t stopped since. First of all, thank you thank you thank you to everyone that took the time to watch the livestream from the evening, or have gone to YouTube to watch my talk, or have shared it with their friends, families, co-workers, or pets. I know in today’s world, 12 minutes can seem like an eternity, but thanks for taking the time. Much appreciated. And yeah, even for a performer such as myself, those 12 minutes simultaneously flew by and seemed to go on forever. That was the most nervous I have ever been in my entire life and I actually thought I might throw up before hand. Luckily, I didn’t, everything went smoothly, everyone got cookies and so on we go. The rest of the speakers were quite good and all had very relevant and thought provoking things to say. 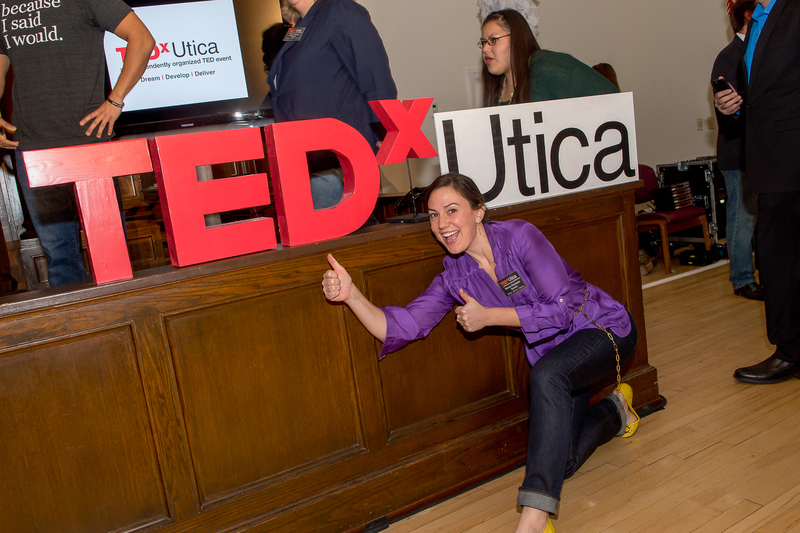 You can actually watch all of the speakers’ videos on the TEDx Utica site! Between TED and the Guideposts article that came out that same day, I’ve been led down an amazing path of new possibilities, both as Renee and as Single Girl. I did an interview with my alma mater about service through music because someone saw the TED livestream. I’m doing a radio interview tomorrow with Kelli Corasanti, another TED speaker, on her internet blog radio show, It Only Takes One. I’m scheduled to do another interview with the radio show Cityscape, on 90.7, WFUV, New York City’s NPR affiliate. I’ll be participating in the Brooklyn Cookie Takedown on Sunday, Dec 8. I’ve met with the SBCD at LaGuardia CC, taken meetings with attorneys and others in a position to help the cause, and I’m still doing weekly drops (duh, like I could ever NOT do those). Oh, and I’m planning a giant Single Girl Cookies Birthday Party/Astoria Love-Fest in January, having a gathering at my place this Sunday (email me for info – all ladies are invited! ), and I am still working on a Single Girl Cookies book. Yeah, and the rest of my regular singing life is still happening too. Wait a second…..is this what being an adult is? A lot of those things are things I can keep you updated on after they happen. I’ll be posting at least one interview for your listening pleasure, and the legally/business stuff will take a while, but it means some VERY exciting news for Single Girl. That is definitely one of those things I was mentioning earlier; I’m Beetjuice-ing something into existence, but didn’t realize what a big deal it was. Kinda like when people bring back Beetlejuice and they don’t realize how bad that is! Man, I’m rockin’ in the metaphor department today, except my things are good, not bad. Something I’d like to talk to you all about now is my giant birthday party!!! Woot!! The one year anniversary of Single Girl Cookies is coming up on January 17th and what better way to celebrate a year of kindness than by throwing a party? 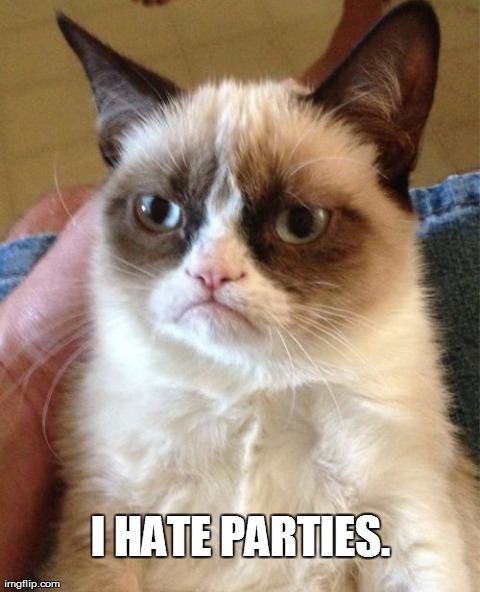 Also, who doesn’t love parties?? You, you over there that just said you don’t like parties? Get out. The Utica Fire Department knows what’s up. They didn’t “leave me hanging” – get it?? Mark this on your calendars as well – December 8th, 2-4pm. This is the Brooklyn Cookie Takedown! I heard about this when a friend forwarded me the page, thinking it was up my alley. Boy, is it ever! I’m going as a cook on Sunday, but this happens both Saturday and Sunday, tickets can be purchased here. For $15, you gain admission to Bell House in Brooklyn where you spend the next two hours drinking bourbon and eating cookies. Tell me that isn’t the best news you’ve heard in the last ten minutes. And with a bit of normalcy, I’ll wrap up this post by finishing up the cookies I’ve been baking. My drop today is at Samantha on Steinway, and I was sent there by Tina at Jasmine, two doors up the block. Rob from Fantasy sent me to Jasmine, and Kian at Esquire sent me to Fantasy and the folks at Venzini sent me to Esquire. There! We’re all caught up 🙂 Catch you next week!